One of the benefits of having a full kitchen in your office is…food! Healthy Food! Homecooked Food! FOOD! We here at Squeaky like to take advantage of this as much as possible. Taking a mid-day break to spend time in the kitchen allows us to step away from our work and get our creative juices flowing in a new way (most of the time via lemons) so that when we step back in, we are satiated and ready to help bring home the bacon for our clients. Here are some of the top recipes that have sizzled on the Squeaky Skillet lately. We followed the recipe closely, but it took us about 2x the amount of time then they said (#noobs). 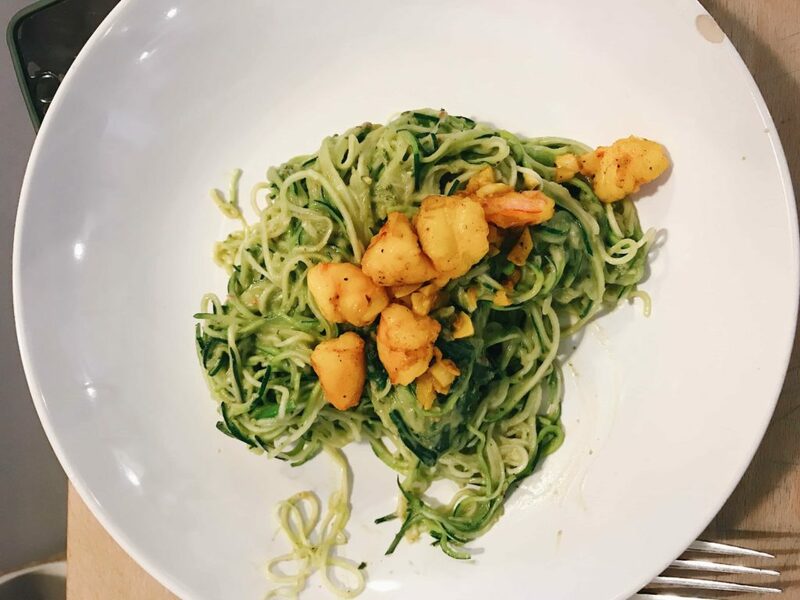 We also made it with angel hair zoodles as opposed to thicker ones, which ended up allowing us each to have very hefty serving sizes – no complaints there! ‘Cook farro according to package directions.’ – Sometimes there are no package directions (Hey Rustichella d’Abruzzo, call us, we can help with that 😉), which was the case for us. 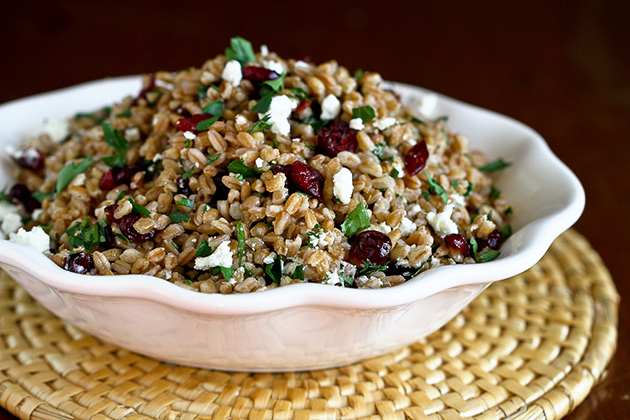 We cooked the Farro for about 20 minutes, and that seemed to do the job! Transfer to a bowl to cool’ – Creative minds are hungry minds, y’all. Skip the cooling, straight to the EATING! Next time: Add in another crunch element. We followed the recipe exactly. 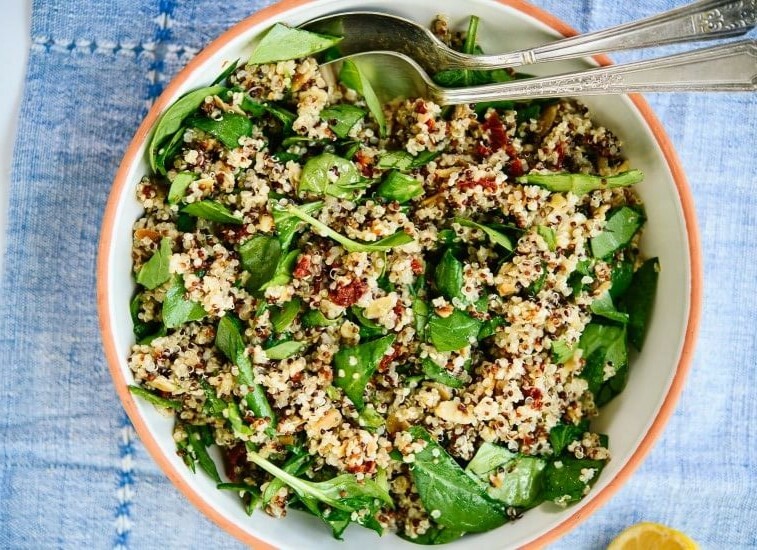 Next time: More dressing, more greens, some more crunch. We were not not ‘inspiralized’ by the vague recipe directions. Ie: “After the eggs set on the bottom, place the skillet in the oven and bake for 15 minutes.” Er, set on bottom- what does that mean? For how long? On what temperature!? 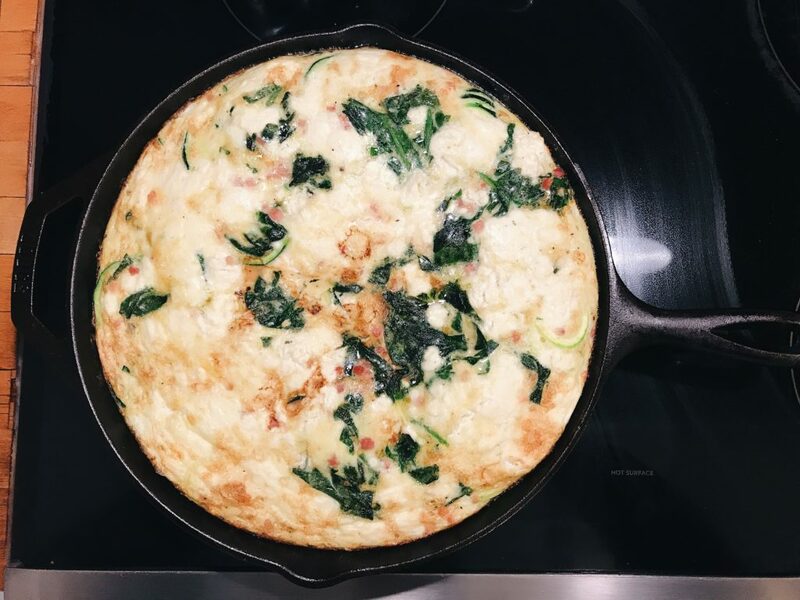 We had to wing this step so we put the frittata on the stovetop burner for about 10 minutes on Med-High, and then put it in the oven for about 25 minutes. The result was a very burnt fritatta bottom, so the mystery remains unsolved!